Nimo Gachuiri, the wife of gospel singer Mr Seed, says the fallout with their former couple friends Bahati and Diana is worse than what we already know. The gospel singers and their respective wives have been embroiled in a nasty saga for days now following Mr Seed’s exit from Bahati’s EMB Records. It is claimed that Bahati and Diana Marua called the police on Nimo when she tried to set up a coffee stand during the EMB New Years Eve party. The damning claims have mostly been made public by serial attention seeker and gossiper Ringtone, who has since gone on several media interviews and released a new song in the wake of all the drama. Ringtone was most recently hosted by Chipukeezy on Ebru TV, where he maintained his account of the story. But responding to the interview, Nimo Gachuiri noted that “all those talking on my behalf have less than a quarter of what happened”. 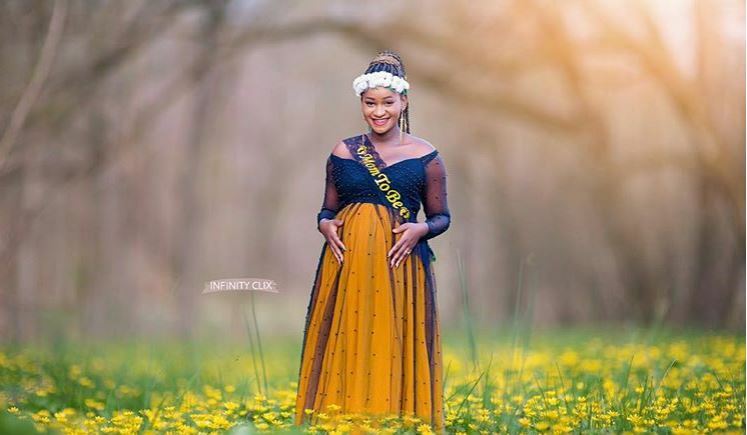 The expectant mom made the remarks in the comments section of an Instagram video post by Chipukeezy. According to Nimo, she has already forgiven and forgotten and now just wants some peace of mind. Nimo further said that we should not hold our breath for a statement from Bahati, whom she claims will twist the story to make her and Mr Seed look like noisemakers. “I will tell you for a fact Baha will not address this issue, but will give stories to guys chini ya maji to favor his side, but won’t publicly address it just to make us look like noisemakers🤦🏽‍♀️ most important is my peace of mind at the moment, and I will try to keep my sanity and humanity mpaka tu hii story iishe 😭,” said Nimo. She concluded saying that there is still a chance that Bahati, Mr Seed, and their manager Mutua might become friends again.